The only thing better than drinking a cold beer in a foreign land is drinking a six-pack for less than a fiver. And there're destinations across the globe where a big night's bar tab can be covered by the coins in your pocket. Where, perchance, are these magical places? 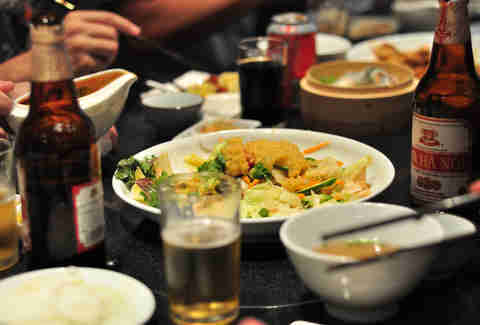 Using crowd-sourced, cost-of-living site Numbeo.com, we narrowed it down to the top five -- salud! 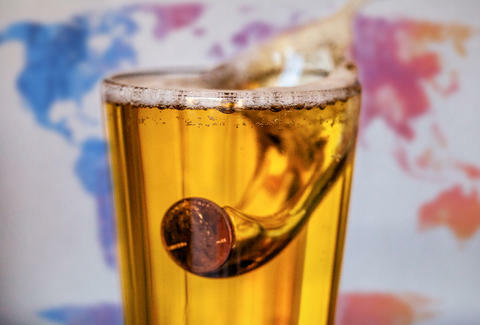 NOTE: Countries are ranked by the average combined price of both a 16.9oz domestic draft beer from a bar, and the equivalent-sized bottle sold in a store. What you'll be drinking: Beer continues to gain popularity in Ethiopia, and there're plenty of local brews to choose from. Knock back a fair bit of St. George Beer (a refreshing lager named for the country's patron saint and brewed since the early '20s), Bedele pale lager, and Harar's popular stout. Ethiopia also brews a sweet 5.5% ABV lager dubbed Meta, totally sans irony. Pair it with: Hoppy lagers go well with Ethiopian cuisine, including traditional dishes like Doro Wat (chicken stew) or Yebeg Tibs (grilled lamb). 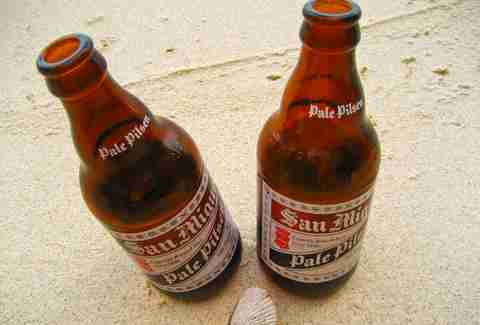 What you'll be drinking: Two major brewers dominate the popular Filipino beer market -- San Miguel & Asia Brewery. San Miguel's Pale Pilsen's probably the most ubiquitous brew, but you'll also drink plenty of Red Horse (for as little as $0.50 a bottle) and Beer na Beer! Pale Pilsen, billed by AB as "an excellent value for the money". Pair it with: Filipinos love spit-roasting pig and pairing it with a cold brew. The stomach's usually stuffed with star anise and lemongrass. And be sure to try Sisig, an appetizer made from pork cheeks and liver. What you'll be drinking: Not only are Ukrainian suds cheap ($0.58 a pint isn't unheard of), but more and more beer enthusiasts are vouching for their quality -- similar to Czech-style beers. 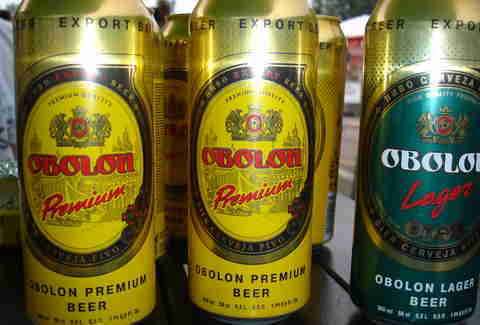 You'll likely take down major national brews like Lvivske, Chernigivske, and Obolon. Pair it with: Ukrainians love their borshch, varenyky (stuffed dumplings), and home-made Kovbasa (sausage) -- and their beer works with all of it. What you'll be drinking: While you'll find a cold one for as little as $0.50, odds are it's going to be one of several indistinguishable pale lagers: Angkor, Anchor Beer, Tiger, or Khmer Brewery's Cambodia. Pair it with: A plate of red tree ants. No, seriously. Cambodians traditionally stir fry them with beef, lemongrass, and basil. What you'll be drinking: Almost assuredly bia hoi, on ice. While $0.76 a pint is the overall average price for beer in Vietnam, it's pretty common to find a 12oz glass of this 3% ABV pale lager for as little as $0.20 cents. 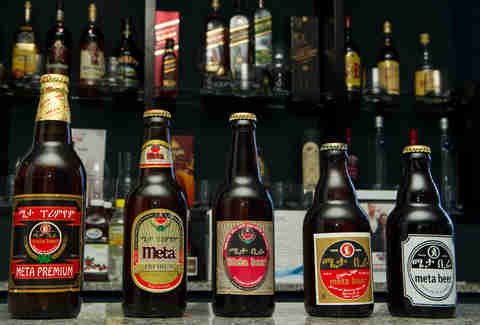 For the bottled alternative, go with the Bia Hà Nôi. Pair it with: Assuming you've had your fill of pho and bánh mì, try a glass with cá kho to (catfish cooked in a clay pot).